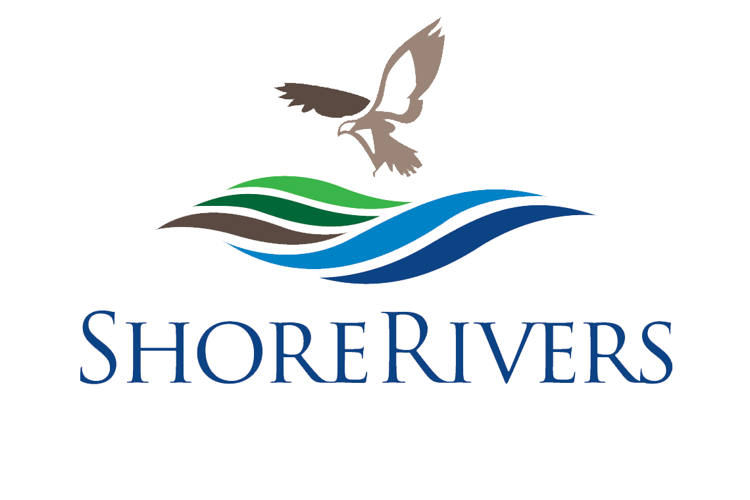 On Jan. 2 of this year, three vital conservation agencies officially united to form ShoreRivers: Midshore Riverkeeper Conservancy (a longtime parter to the Oyster Reef Recovery Initiative), Chester River Association and Sassafras River Association. These nonprofit organizations have joined forces to enable them to promote healthy waterways in a more synergistic way. of the waters in our communities, and that mission will continue. By joining together, we have become more than just the sum of our parts — we are one united and committed voice with more influence on policy, more capacity to enact programs, and more potential to undertake large restoration projects to reduce pollution.”Such a partnership enhances the scope of their impact, since the whole is greater than the sum of its parts, and it may be a model for more organizations to consider in the future. This is especially true in light of potential budget cuts for Chesapeake Bay cleanup initiatives that would occur from reduced EPA funding. We will definitely have to work together more closely and more effectively if EPA funding is slashed to 10 percent of its previous size (as proposed in the president’s 2019 budget recommendation). My hope is that this scenario will not take place, as there have been marked improvements in water quality, aquatic grasses, and fishery health in the Chesapeake Bay due to continued restoration efforts and the availability of funding. Another positive collaboration of which I have recently become aware is one where the Chesapeake Bay Foundation and its partners (including Shore Rivers, University of Maryland and more than 20 other businesses, organizations, and institutions) aim to plant 10 billion oysters in the Chesapeake Bay over the next seven years. The oysters will be planted within five tributaries in Maryland and five tributaries in Virginia. 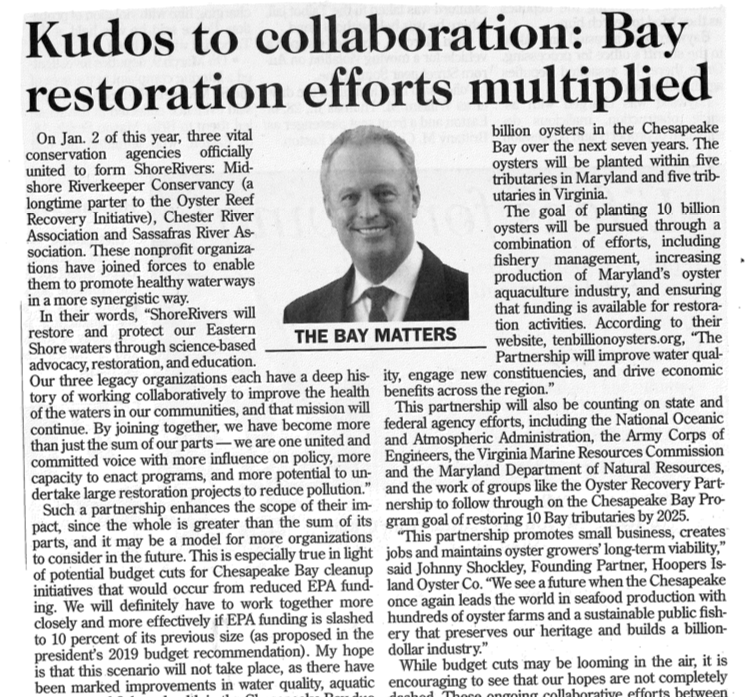 This partnership will also be counting on state and federal agency efforts, including the National Oceanic and Atmospheric Administration, the Army Corps of Engineers, the Virginia Marine Resources Commission and the Maryland Department of Natural Resources, and the work of groups like the Oyster Recovery Partnership to follow through on the Chesapeake Bay Program goal of restoring 10 Bay tributaries by 2025. While budget cuts may be looming in the air, it is encouraging to see that our hopes are not completely dashed. These ongoing collaborative efforts between compatible organizations, combined with research, effective fishery management, increased oyster aquaculture and oyster restoration efforts may just be the necessary formula to reach that 10 billion oyster goal for a healthy Chesapeake Bay.